I don’t need to introduce myself because your whole team is too busy in taking selfies and escaping/surviving from the Oceanian ghosts traveling with you in your buses, hotel rooms and bouncy pitches. Although your squad is mentally, physically and morally prepared since the day you stepped in the pacific continent to play on green, fast and bouncy pitches after all your preparations on U.A.E’s very sporting tracks; still I believe there is need of consultancy in strategy making after watching your two highly competitive and thrilling games against India and West Indies. I have found your whole team in bizarre conundrum and dozen of errors in the most simplest common-senses in team selections, fielding and catching, target-chasing, and running between the wickets prove there is an urgent need of medical team full of neurosurgeons and psychiatrists (and they should be more in numbers as compared to your officials). Captain is not fully prepared to understand the condition of target-chasing nemesis. He should carefully read the stats of his team’s past performances on oceanic cricket grounds. He should realize that Pakistan has never chased 280+ target ever neither in New Zealand nor in Australia under any captain in ODI history. If losing the toss is your fate, then accept the counterpart’s decision. If you win the toss, go for batting and boost the morale unless the pitch has too much grass and moisture. After strange squad selection and twice dropping the easiest chance of picking your main weapon Saeed Ajmal in place of the injured, you have to squeeze the 11 players from your 15 to create a formation and build a necessary winning combo. Time of experiments is finished just like preparation for exams before handling the question paper to the student. a. Younis Khan‘s bat which is not blazing in ODI for a long long time. He averages only 21 in ODIs in last three years. That is not only enough, the worst of his is absolutely ignored by the selectors. He averages 17 and 16.87 in ODIs in Australia and New Zealand respectively in aggregate of 19 ODIs with one knock of 50, no banging of SIX and overall strike rate of almost 60.
b. Haris Sohail’s bowling which is presented in the recent ODIs as fourth or fifth choice bowler. By average, he is bowling 7 overs every ODI which is too much to ask for, for a part-timer who has hardly bowled only 11 overs in his entire first-class career so far. This has become the most embarrassing situation when the team indirectly is daydreaming more than being self-confident of rewriting the history in world cup record books. Comparing Pakistan’s initial troubles with the ’92 one is not playing a stress-relief game but inviting ghosts for a combat. You have to take the inspiration from ’92 glory and plan harder to avoid further hiccups. WHAT SHOULD BE THE STRATEGY NOW!!!!! #2. No matter you bat first or second, if you have plenty of wickets in hand only in death overs, promote only Shahid Afridi. #4. Part-timers are partnership breakers, avoid using them when new batsman come to the crease. #1. Bring at least 1 slip compulsory for Fast bowler in any phase of inning (remember, the batsman will edge anytime). #2. Bring at least short-leg for Spin bowler (some turns or rising deliveries are short-leg cookies). #3. Every fielder should field at specific field position where his feet suits e.g. don’t send your finest slip fielder Younis Khan to the boundary rope. #4. Very important, avoid dropping catches. After sugar-free tutorial, I recommend to take a deep study of what I wrote above. If you still fail then join ISIS, Gulabi Gang, FEMEN or Suicide Squad. If you win, then just thank me. Wish Pakistan best of luck. 30 days left in the beginning of cricket’s biggest fever and Pakistan’s 15-man squad is finally out. As usual Pakistan Selection Committee (PSC) is at its best in surprising cricket fans with strange announcement of squads. Major surprise is fast bowler Sohail Khan’s inclusion and Fawad Alam’s exclusion. Please correct me if I am wrong, I might be getting hyper but Sohail wasn’t picked in 30-man probables. Was he picked in Saeed Ajmal‘s place because he withdrew himself from the CWC15? Might be possible if I didn’t hear such news. If not then why is Sohail Khan even picked? If performances in recent domestic games were considered to finalize 15-man squad then on what basis had the selectors selected 30 players?? :S Sorry to say but Pakistan Selection Committee has trolled the readers and cricket fans yet again and I am not surprised. PSC has a proud history of trolling and they always come up with strange announcements. Do anyone at this moment remember, Javed Miandad wasn’t picked in 1992 World Cup??? He joined the team later after convincing the-then PSC and Javed’s response is history. Anyhow I am very pleased to see our kukri-man Sohail Tanvir and struggling limited-overs batsman Asad Shafiq are out of final 15. Calling Sohail Tanvir an all-rounder is the same deception what Indian cricket fans had about Ajit Agarkar. Very expensive bowling and limited resources of dead-end batting. PSC has sacrificed many promising all-round talents for his sake. In Asad’s case, he is more of a First-class cricket player than a limited-overs batsman. He was given enough chances to come up with at least one big hit but failed. So it is a good relief. Asad should concentrate on test career as that format is promising for him. Another sigh of relief is omission of 18-months wrong comeback fatty Nasir Jamshed. Legend says captain-coach had requested the PSC to pick Nasir as their 3rd opener!!!! Would you believe this?? Having Ahmad Shahzad and Mohammad Hafeez, you have another option in attacking-minded Sarfraz Ahmad. Isn’t it strange that PSC select or ignore individual’s performance on one-series instead of considering a very very consistent player. Take a look, Nasir Jamshed brutally failed almost the whole of 2013-14 season but one series for Pakistan A against U.A.E. with one big knock of 134 put the PSC into consideration of his possible international comeback!! Same goes with 2 solid left-hand middle order batsmen in Fawad Alam and Haris Sohail. After almost 4 years of international comeback, Fawad proved his worth in Asia Cup 2014 and justified his performances in crisis against Sri Lanka in ODI series but one bad series against Australia all of a sudden put a question mark on his performance and his possible selection for CWC15. On the other hand, Haris Sohail got one extremely good series against the Kiwis in recently concluded ODI series enough to legitimize his selection in final 15. After dropping Fawad after one bad Australian ODI series, he kept performing on domestic circuit in almost every game and was still not considered!! 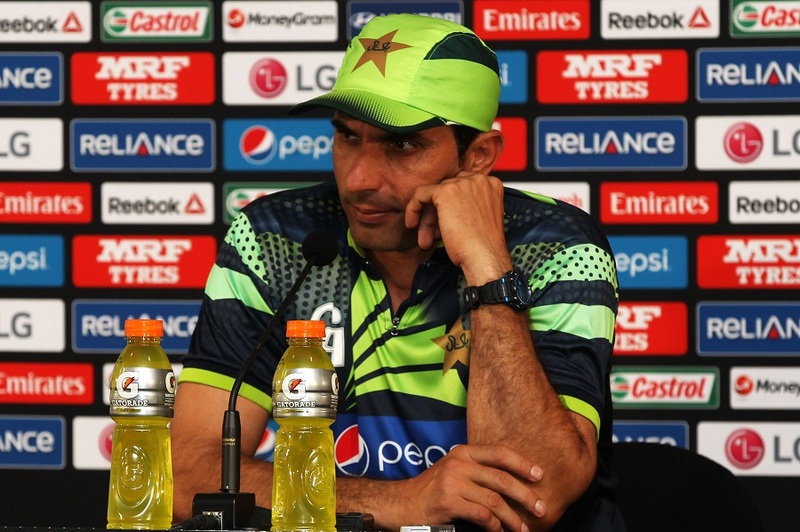 Fawad is the man of crisis situation where he is an extreme situation-batsman like Abdul Razzaq was in the past. He proved that point against Bangladesh and Sri Lanka in Asia Cup. With 300+ ODI run in 2014, Fawad had 5th highest overall average of 69 and highest among Pakistani batsmen. From any case, Fawad’s exclusion from final 15 is one of the most shocking announcements. Middle-order was always going to be a problem for selectors with capable names in Fawad Alam, Sohaib Maqsood, Umar Akmal, Haris Sohail and late entry of ODI-veteran Younis Khan. With Misbah-ul-Haq an automatic choice for captain, Younis Khan’s comeback hundred against Kiwis played a wild card to plot him no.3 in final 15. Umar Akmal’s healthy ODI average and strike rate always compel the selectors to keep him in the team as he benefits you as 2nd choice wicket-keeper. It has been 6 international cricket years but still he may carry the tag of being immature batsman who gets dismissed by playing silly sluggish shots. Somehow captain and coach are also to blame as his batting order has changed many time which unease him to settle down. Sohaib Maqsood gives you important stands and play situation-cricket but he is poor in running between the wickets, but no doubt a very talented batsman. All-rounders!!!! Although I don’t want but as the situation demands, Shoaib Malik should have been picked in Mohammad Hafeez’s place. Hafeez’s bowling is suspended by ICC, so his batting service is a liability on fast bouncy pitches. Hafeez already has been exposed by Dale Steyn in the past. Ok why Shoaib Malik? Because he is also an all-rounder, more experienced than Hafeez, who even has experience of Australian pitches due to his participation in Big Bash. When it comes to running between the wickets and specially rotating the strike, Hafeez is nowhere in front of Shoaib. Anwar Ali is not selected and is a good decision. He has lost his charm in bowling what he had when we watched him in U-19 World Cup Final against India in 2006. Due to that particular match, viewers kept expecting from him but his response has been sluggish. Shahid Afridi remains the other oh wait a minute the only all-rounder in the squad!!! :S This shows PCB had no planning for the CWC15. They should have began preparing the team at least a year ago to fetch some good young talents and play them some games with freedom like others do. Hammad Azam could have easily hit the list of probables and could have been automatic choice in final 15. Besides Lala, they ignored every all-rounder from the probables. Amazing!! Glad to see Kamran Akmal didn’t show up in final 15. 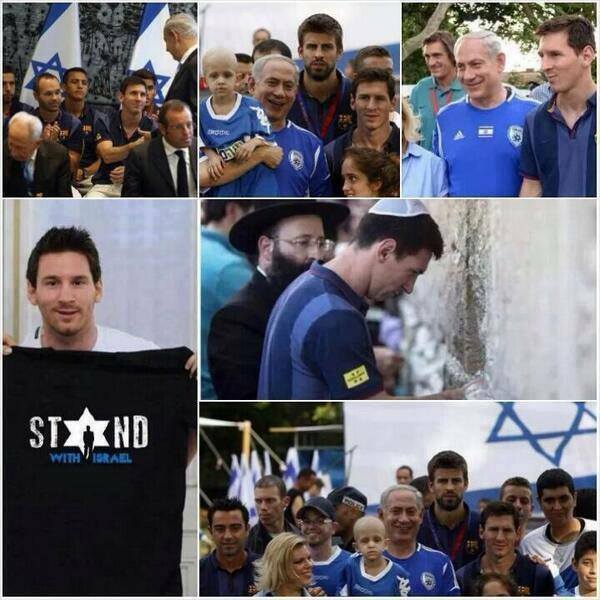 He did not even deserve to be in the probables. Mohammad Rizwan should have been considered. 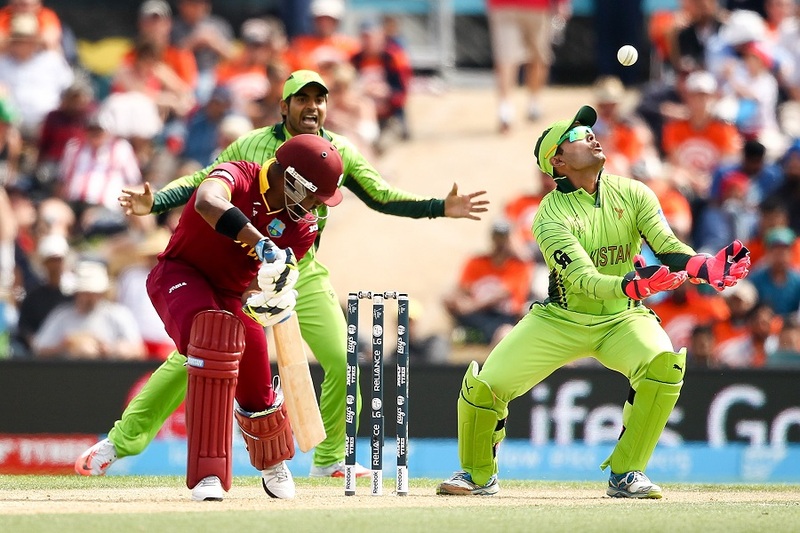 Sarfaraz Ahmad is unanimous choice as he is one of the most improved wicket-keeper batsman. He can be promoted as opener as he is an attacking mind batsman who will utilize 1st powerplay better than Hafeez. Bowling department has some soul but a very very inexperienced side. Sohail Khan was discussed in the beginning. Other name is Ehsan Adil of which I am not that sure but yes his first-class record is extraordinary. Yasir Shah is the lone recognized spinner chosen over Zulfiqar Babar and Raza Hasan. It is a good selection because Australian pitches are favorable for leg-spinners more than off-spinners. Major plus is return of Junaid Khan. His opening partnership with lanky Mohammad Irfan will be a threat for the batsmen. Both paces more than 140 kph easily. And on Australian fast and bouncy pitches, Junaid’s swing and Ifran’s extra bounce will play a vital role. 3rd fast bowler Wahab Riaz lacks line and length and also do not collect enough wickets to justify his selection. He his picked only for his pace which is very ideal on those pitches. All three are incidentally left-hand bowlers. Besides Afridi and three lefty fast bowlers, the whole department of bowlers have played only 8 ODIs in aggregate. Ehsan played his last ODI back in 2013 but Sohail and Yasir played in national side 4 years ago. So these 3 bowlers with a lot of talent but no experience in international circuit have to perform in huge pressure. Hope they do justice. Out of these 15 players, 9 are touring Australia for the first time in any format that includes the whole bowling department besides Lala. 40-year-old captain Misbah will play ODIs in Australia for the first time and wicket-keeper Sarfraz has played only one ODI. Shahid Afridi stands the player with most experience who is consistently touring Australia since 1997-98 World Series. He was even part of ICC World XI which played ODI series in 2005 against Ponting’s mighty Australian side. This will also be Lala’s 5th and last World Cup. With this campaign, he will retire from ODIs. Pakistan’s last tour to Australia was the-then worst touring record in cricket history when they badly lost by 9-0 (3 tests, 5 ODIs & T20I). Pakistan’s last victorious moment in Australia was back in 2002 when Shoaib Akhtar’s inspirational bowling made Pakistan win 2-1. Their golden moment in Australia stands 1992 World Cup glory. 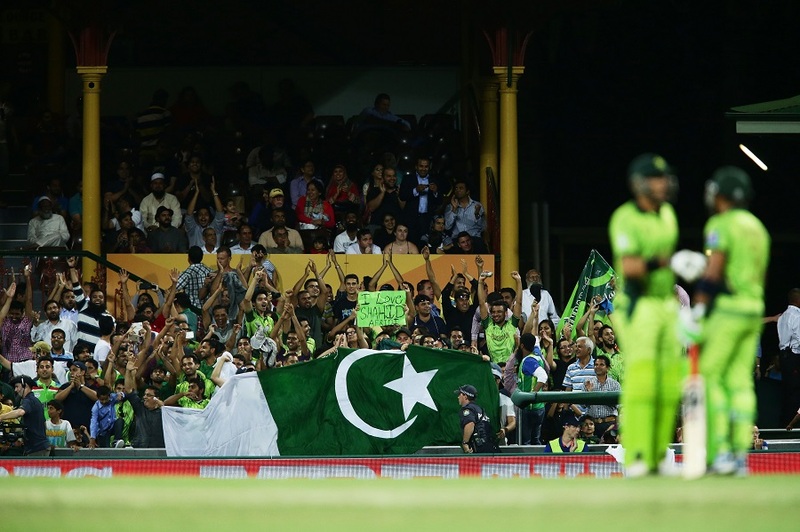 Pakistan Cricket Board (PCB) should have implemented plans for World Cup preparations a long time ago. Most of their international games have been played in Gulf region and World Cup pitches are way different than the former. 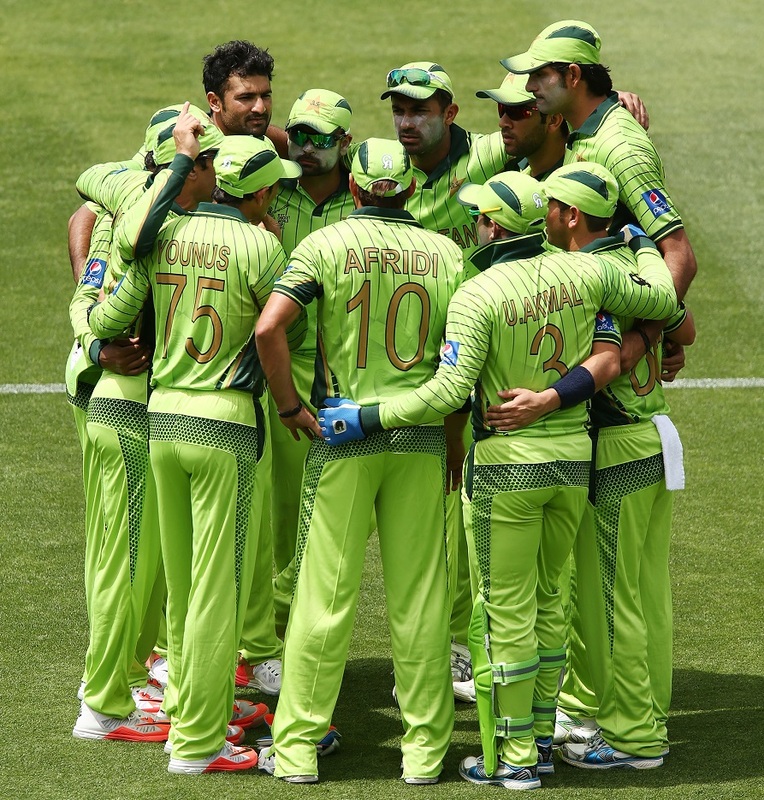 Pakistan team suffer poor ODI record at temporary HOME conditions in U.A.E. with same repeated traditional mistakes like misunderstanding and wrong calls while running between the wickets, mediocre fielding and dropping catches and psychological errors like chasing the targets and increasing inning run-rates etc.